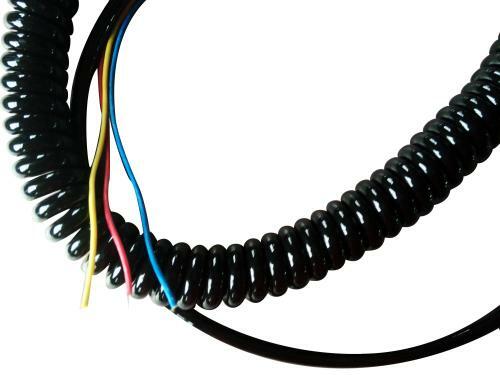 PUR Spiral Cable use in telephone cords, USB cord, connection flexible part and medical equipment. Replace for extended length cord. Give you more fine working in the office or home and the PUR or PU jacket construction retains spring and durability despite repeated pulling or stretching. Rating: 80 deg C, 300 Vac, Cable flame. 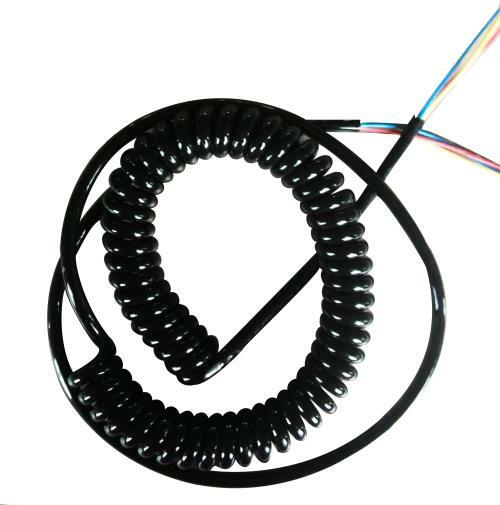 Dimensions: Detailed coiled dimensions are to be customized per customer's requirement. 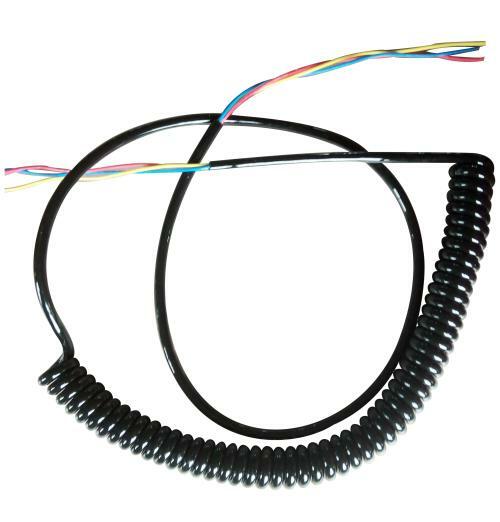 Executed Standard: Appliance Wiring Material UL758.